It might not be as big or aggressive as the wing on the just-introduced 2019 Chevrolet Corvette ZR1, but the rear spoiler on this bespoke McLaren 720S is just as special and far more rare. It features a painted-on graphic that mimics the famously tall and ever changing Dubai skyline, a feature handcrafted by McLaren Special Operations (MSO) for this Dubai auto show one-off. According to McLaren, it took 30 hours to to paint the skyline alone. 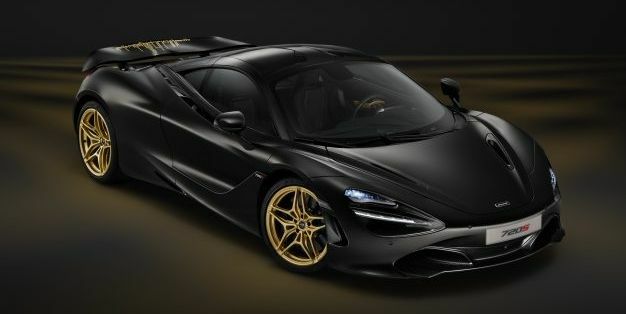 The rest of the unique 720S, which took a total of 120 hours to produce, is done up in a stealthy satin Zenith Black. Any chance of under-the-radar driving is nixed, however, by the gold-colored alloy wheels, the gold lettering, and a 24-karat-gold heat shield. The United Arab Emirates, after all, demands some pizzazz. This 720s began as the Performance trim, the top of the three starting options. That means it already had the Exterior Carbon Fibre Pack 1, with applications to the hood air intakes, side mirror caps, and rear fender intakes. To that, MSO added more carbon fiber, with the front splitter, front air intakes, engine cover, side-mirror stalks, rear bumper, roof panel, rear diffuser, and rear aero bridge all made from the stuff. McLaren did not reveal who commissioned the car—that’s typical for custom vehicles like this—but the special 720s will be on display at the Dubai auto show. That might be the only place a car like this doesn’t stand out.